Posted on 23 November 2017. 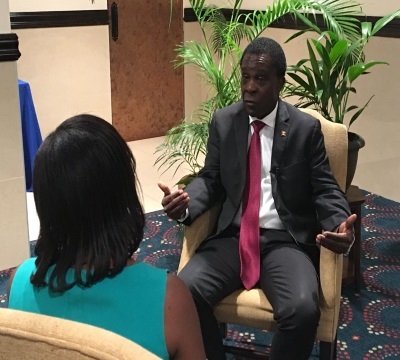 BRIDGETOWN, Barbados, Nov 21, CMC – Grenada’s Prime Minister Dr. Keith Mitchell says Caribbean countries facing economic problems should consider implementing home-grown programmes that will find favour with the various international lending agencies, such as the International Monetary Fund (IMF). Grenada is emerging from an IMF-supported Extended Credit Facility (ECF) programme of US$19.4 million that was approved in 2014 and Mitchell acknowledged that “there were some major sacrifices” that had to be undertaken by the population. He said when his ruling New National Party (NNP) came to power four years ago, it found a situation where the island had negative growth for a number of years “and clearly there was little or no economic activity in the country. “The investment climate was extremely poor and there was tremendously high unemployment….Grenada was unable to pay its debts and we decided we had to do something”. Mitchell, who attended last week’s IMF-sponsored Sixth High Level Caribbean Forum in Grenada, told the Caribbean Media Corporation (CMC) that he met with all the various stakeholders in Grenada, including the trade union, the churches, the business community and the non-government organisations “to map a way forward. He told CMC he believes that this “call is most important because you are able to institute some major sacrifices and at the same time you are able to convince our friends regionally and internationally to come forward and help us because they saw we are prepared to make sacrifices”. In March, during the last phase of the IMF supported programme, the Washington-based financial institution reported that the home grown programme had been strong with the island recording economic growth of just under four per cent last year. Nicole Laframboise, who headed an IMF delegation to the island, said that the government had made progress toward achieving the key programme goals of restoring fiscal sustainability, strengthening the financial sector, and setting the stage for durable growth. She said that the government has met all of the performance criteria and structural benchmarks due at end-December 2016. The IMF official said that real gross domestic product (GDP) is estimated to have expanded by 3.9 per cent in 2016, implying annual real GDP growth of 5.8 per cent on average from 2014-2016. She said activity in 2016 was driven by tourism, construction, and some pick up in domestic demand, while agriculture experienced weather-related contraction. Mitchell told CMC that Caribbean countries experiencing economic problems and resisting going to the IMF for assistance because of the stringent measures likely to be outlined by the Washington-based financial institution, could also develop their own home-grown programme like Grenada did. “That’s the decision all of us will have to make. 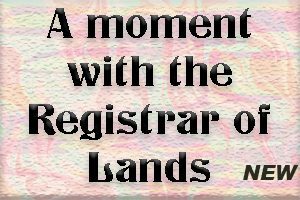 The previous government in Grenada was offered the same thing I was offered. In fact they agreed and then they backed off. They agreed they made way and decided they would lose political support and backed off again. “So as the situation improves and the country gains more momentum economically and otherwise we are prepared to ease up the burden on the people as much as possible,” Mitchell told CMC.